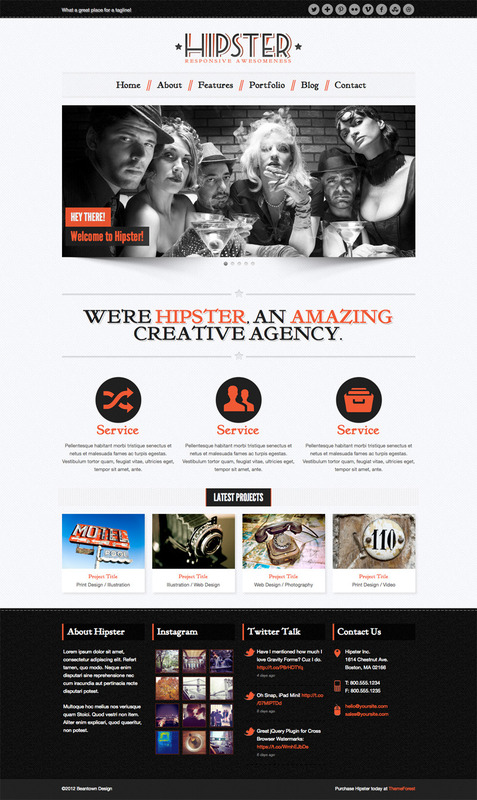 Introducing Hipster WordPress, the perfect responsive WordPress theme for any personal or business website. 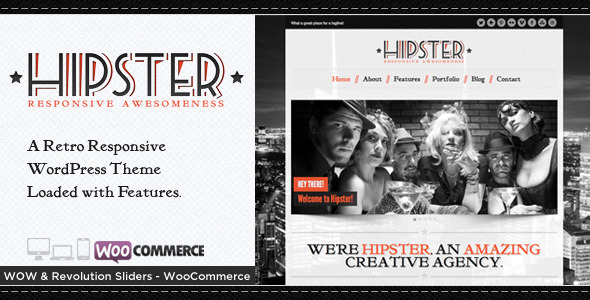 Hipster’s fully responsive design looks great no matter what device you’re viewing it on, desktop, tablet, mobile phone, etc. Customize your site with the extensive options panel using over 30 backgrounds patterns, full screen rotating background images, and 2 page layout styles (stretched or boxed). Check out the custom mobile menu that was created for small screens! Hipster is full of premium plugins to build your dream website, tons of page layouts, and oh ya.. did we mention the awesome retro style design?! Hey Beantown ? Im a week into design work and wanted to say thank you for a great theme. 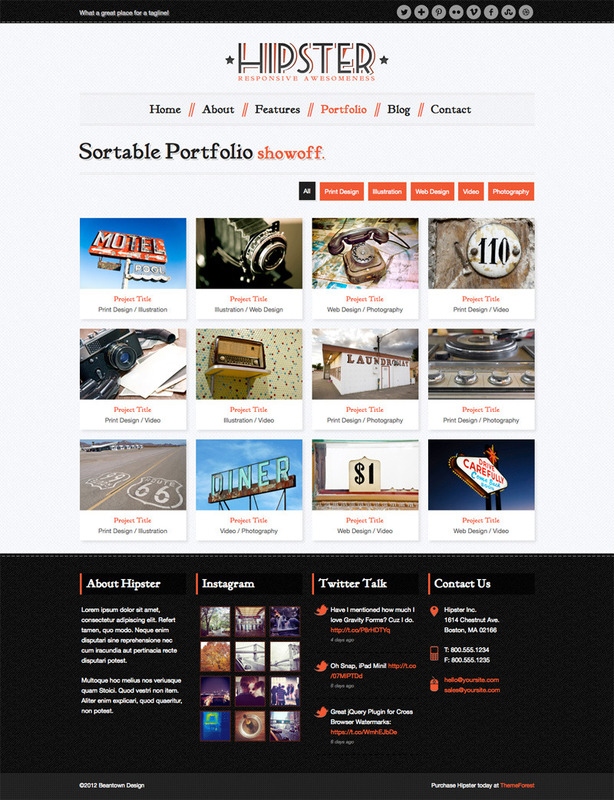 I?ve used wordpress for 8 years and have wasted a lot of money on themes that are garbage when you get them. 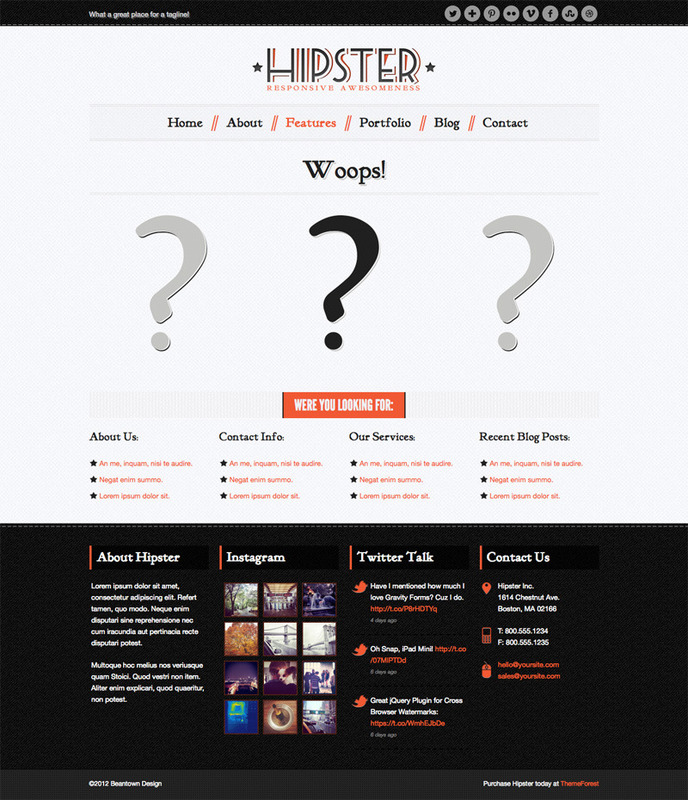 Hipster is solid, easy to use and ideal. I?m in love. Thank you for creating this. The preview files are so clutch and making this such an easy design process. Thank you. Thank you. 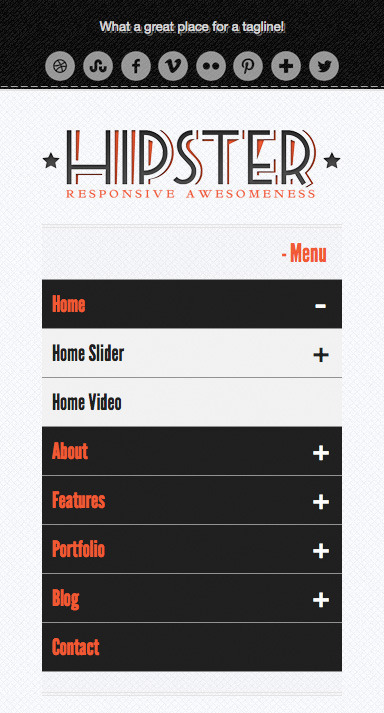 Impress website visitors with the amazing responsive homepage WOW Slider. Choose from 12 amazing transition effects (many unique to this slider), set optional captions, even set thumbnail images (roll over bullets to view)! NEW! Now Hipster comes with an additional slider, the amazing Revolution Slider, check out the demos to see the amazing animation effects and layers this slider has to offer! Just wanted to drop you a line and say. GREAT THEME! 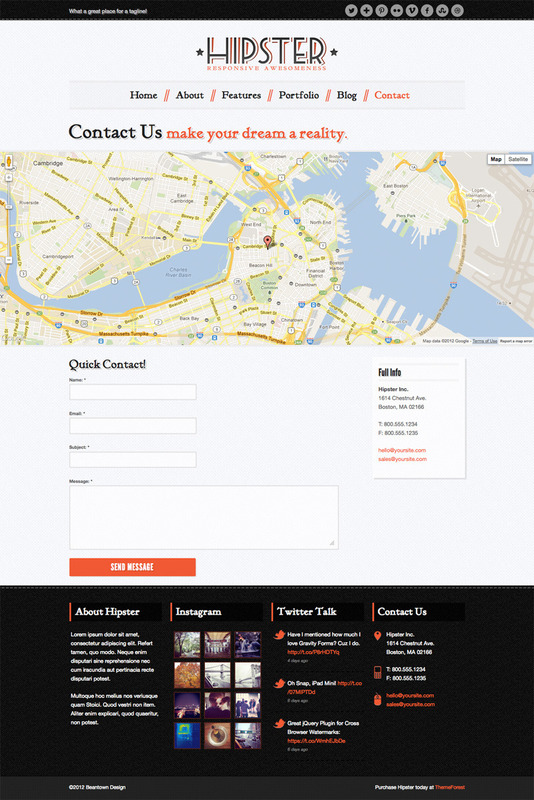 I used it for a landing page for a new series for our church and people raved about it. Really good stuff here! Just wanted to let everyone know that this is a top-notch theme. More importantly though, this is a fantastic developer who listens to their customers and delivers fast technical support. It?s great to know that there are still developers who care about their customers and the quality of their product. Five stars and two thumbs way up! Amazing amazing support on this. Thank you. Howdy ? I?ve bought hipster after messing around with 2 complex and time/money wasting themes . . Hipster is simple and does what i need it to do. Thanks. Amazing template. Works perfect for my photo and photobook portfolios. Support works incredible well? very fast! 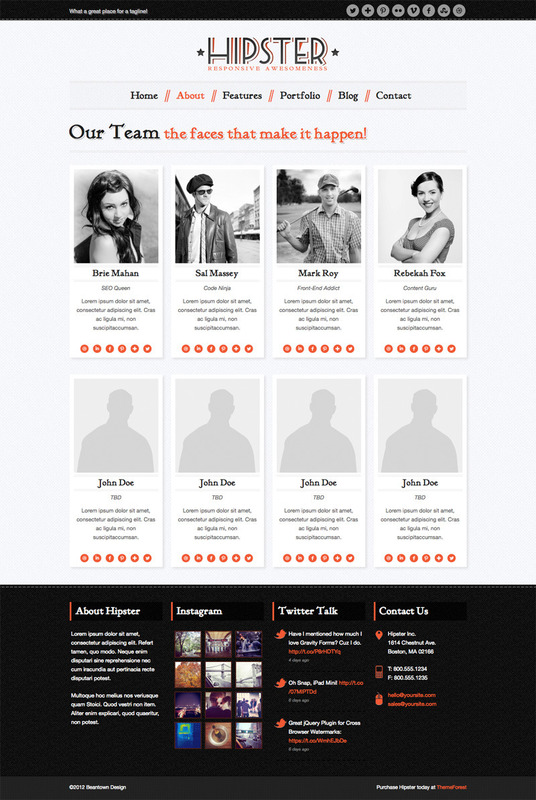 Added: links for images in slider source="post"
Added: contact form option to_email="another_email"